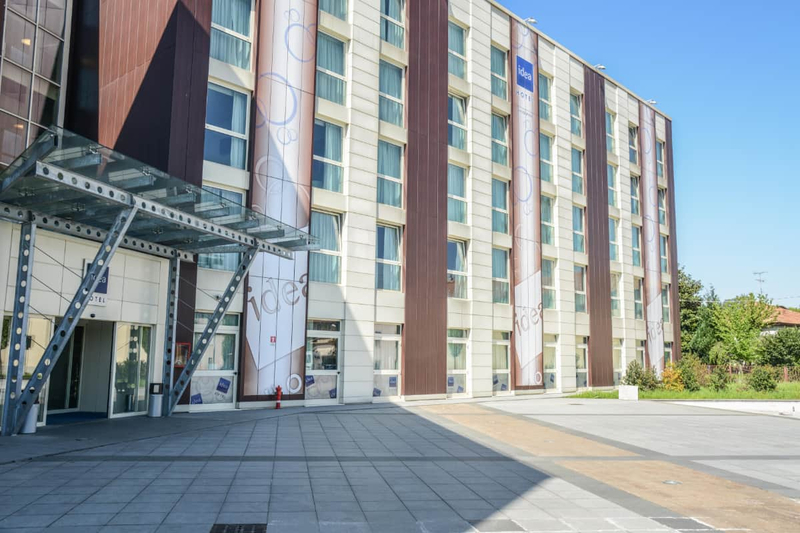 Adjacent to the Milan Malpensa International Airport and just two steps from the State Road 336 direct to the new "Rho-Pero Fair", the Idea Hotel Milan Malpensa Airport is the ideal solution for both business and leisure trips. Book on our official website and breakfast with super fast WiFi are always included. Once you have received the confirmation, you will be able to check in online by clicking HERE. Save time! With our free airport shuttle you easily reach the hotel and the airport. Download the timetable HERE! 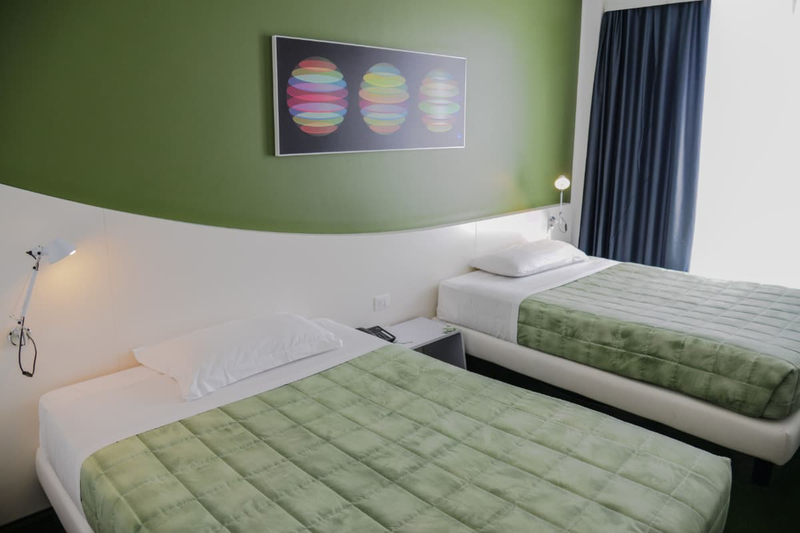 The Double Room for single use (DUS) is furnished in a modern style with two version beds: a Queen Size 180x200 or two single beds 90x200. The room is equipped with air conditioning, telephone, TV, safe, minibar, hairdryer, private bathroom with shower and courtesy set. Modern and functional furniture. WiFi connection and breakfast always included. The Superior Double Room is furnished in modern style with a Queen Size bed 180x200, air conditioning, telephone, TV, safe, minibar, hairdryer, private bathroom with shower and courtesy set. Modern and functional furniture. WiFi connection and breakfast always included. 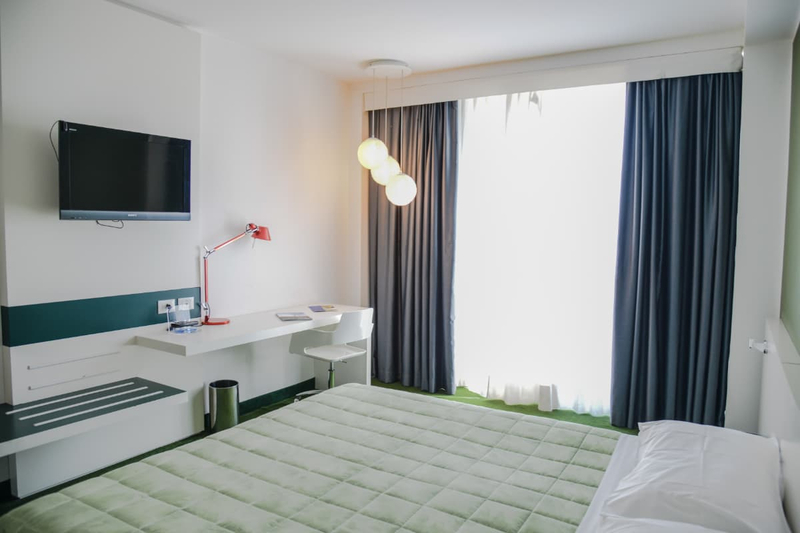 The Standard Twin room Superior is furnished in modern style with two single bed 90x200, air conditioning, telephone, TV, safe, minibar, hairdryer, private bathroom with shower and courtesy set. Modern and functional furniture. WiFi connection and breakfast always included. The Triple Room Superior is furnished in modern style with two queen bed size 180x200, air conditioning, telephone, TV, safe, minibar, hairdryer, private bathroom with shower and courtesy set. Modern and functional furniture. WiFi connection and breakfast always included. 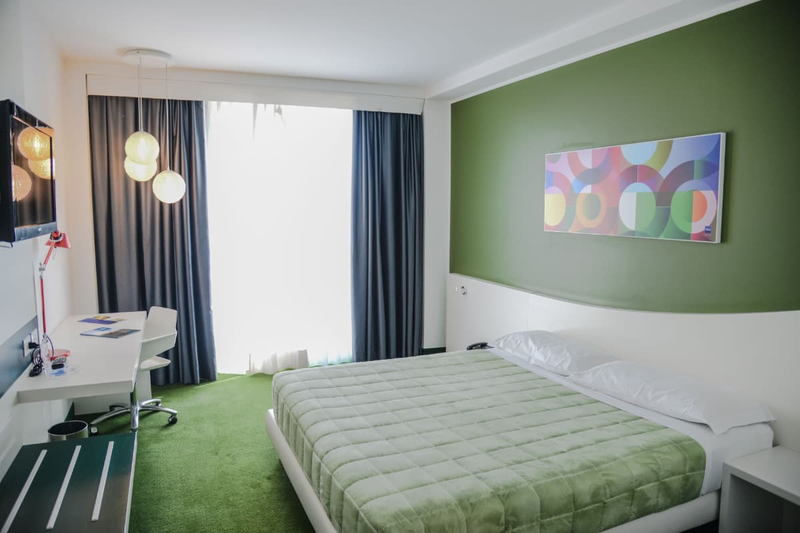 The Quadruple room Superior is furnished in modern style with two queen bed size 180x200, air conditioning, telephone, TV, safe, minibar, hairdryer, private bathroom with shower and courtesy set. Modern and functional furniture. WiFi connection and breakfast always included. 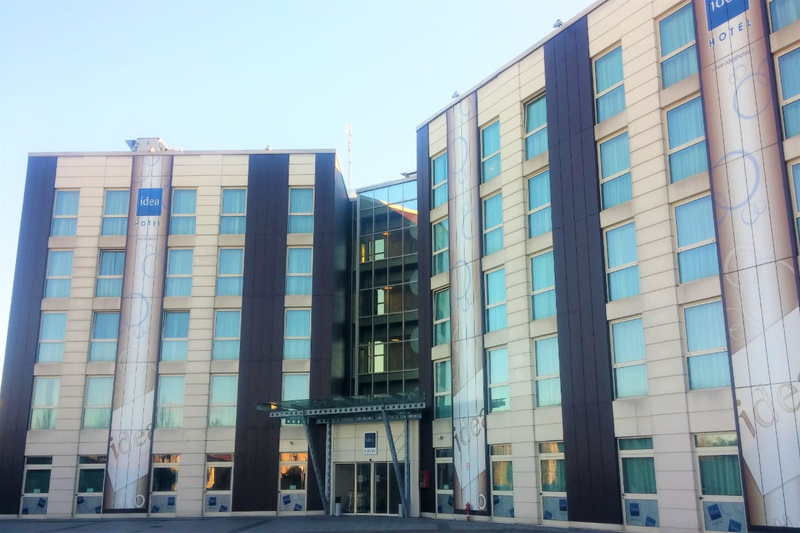 The Idea Hotel Milano Malpensa Airport has 137 rooms arranged on 5 floors, equipped with glass and panels for noise reduction and designed to provide maximum relaxation. From the beds with soft duvets and the innovative Simmons mattress by Ideahotel to the LED TV. The hotel provides WiFi Internet access (FREE) in rooms and public areas. It also offers an on-site parking fee (€8 per day) and a free outside with limited availability. (The Minibar is available in all rooms with water, drinks and snacks). For children from 3 years of age there is a surcharge for the extra bed on the cost of the room; Children from 0 to 2 years old stay free of charge. ANIMALS OF ANY SIZE ARE NOT ALLOWED. 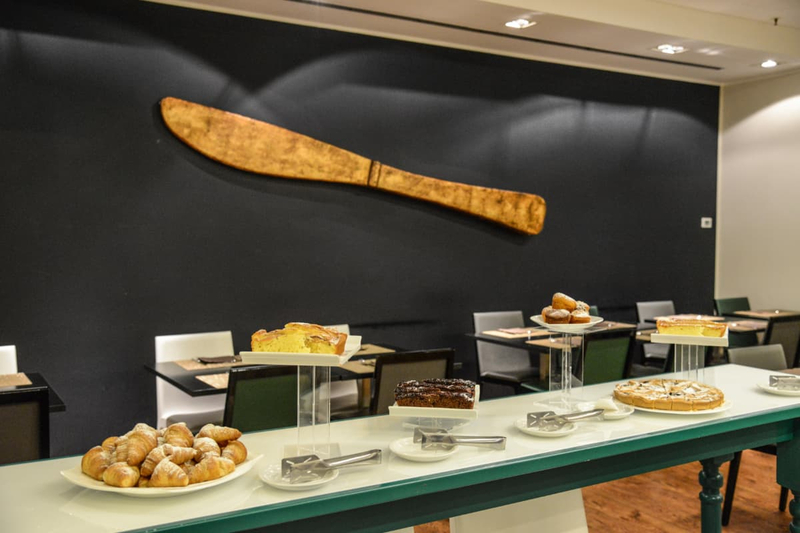 Served from 05 to 10:00 the breakfast of the Idea Hotel Milano Malpensa Airport is always of great quality. Every day are put on the table products of first choice homemade and suitable for all tastes thanks to a complete offer sweet and salty. The Restaurant of the Hotel "Risto Piper", although reminiscent of past times, proposes a traditional cuisine with a modern creativity. Before the entrance to the restaurant you will find the Lounge Bar, where you can try a selection of Italian wines and preparations on request, accompanied by the Chef's nibbles and snacks. The Bar of the Idea Hotel Milano Malpensa Airport opens at 19:30 until the 22:30 every night. The restaurant is open for lunch and dinner from 12:30 to 14:30 and from 19:30 to 22:30. In the middle hours and from 10:30 pm until 00:00 am is open our Fast Food menu with many choices between burgers, pizza, lasagna and cutlets Milanese. Click HERE and download the Snack menu! Free of charge for all our customers is the airport shuttle. Departures from the hotel meet the following hours: Every 25 minutes from 05:00 to 12:05 and from 18:00 to 01:30. The collection points are: Terminal 1 departures exit 16, Terminal 2 sidewalk front pharmacy. For all the info and timetables, download the free shuttle times by clicking here. 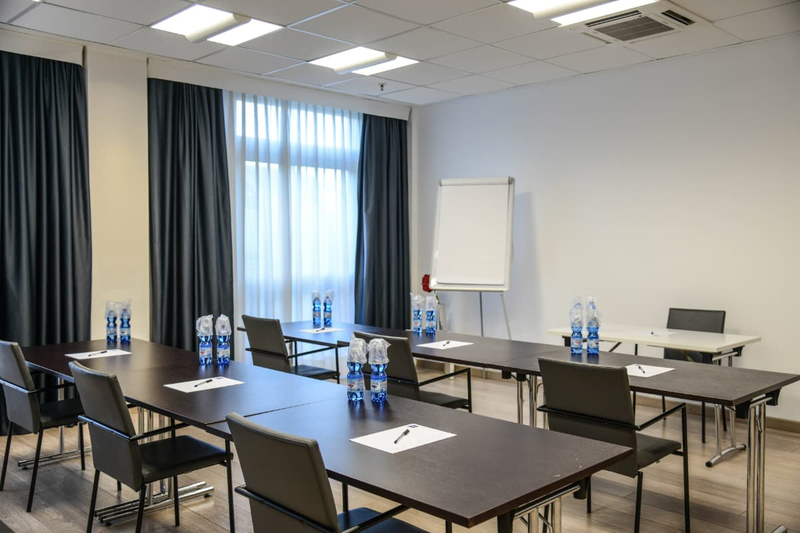 In a modern setting and in a room equipped with 25 seats, modular and customizable. From the A8 Milano-Laghi, exit at Busto Arsizio/Malpensa Junction; Continue on the SS336 until the exit of Somma Lombardo-new houses. In case you use a GPS device to reach the structure, click HERE to open the map and set the navigation. At the roundabout take the third exit, continue going past a second roundabout. Turn left into Via Della Chiesa and continue straight on until you get to the hotel. Free for all our customers is available the Idea Hotel Airport Shuttle. Departures are from 05:00 am to 12:05 pm and from 06:00 pm to 01:30 am. The stops are as follows: Terminal 1, Exit 16 (departures) - Terminal 2, pharmacy front (easyjet). To always have schedules with you, download them here! 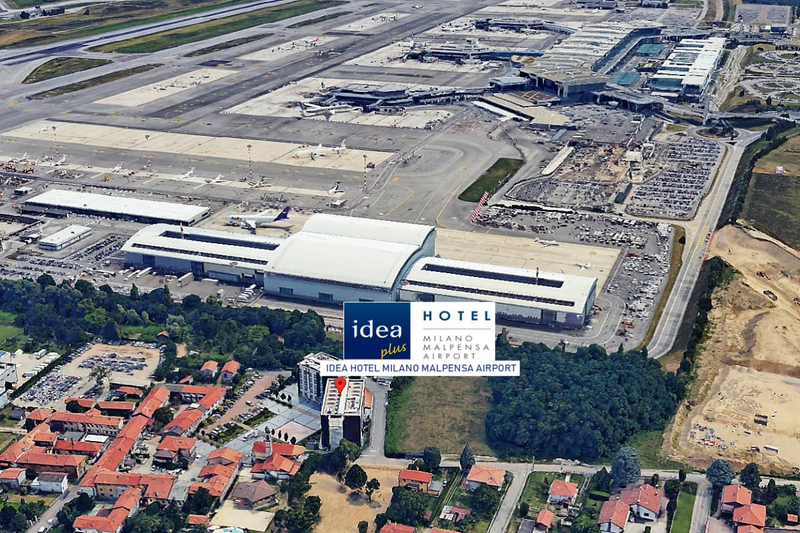 Enter your email to keep informed about promotions, offers and events on Idea Hotel Milano Malpensa Airport.